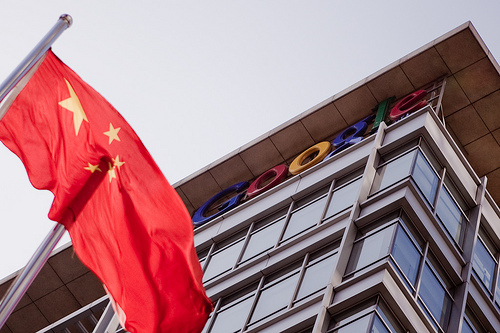 The news this past week that Google would cease the censorship of its search results in China, and could well be forced to entirely halt operations in the country as a result, is quite simply one of the most interesting stories to come along in the tech sphere in a long time. The reality is that it’s not just a tech story; it spills into the world of international politics and beyond. And it could have wide-reaching ramifications far into the future. Did I mention there was hacking involved and potential espionage? There are just so many angles to this story, and nearly everyone seems to have an opinion. Two of those we covered earlier in the week included Sarah’s take that Google’s actions were more about business (or a lack thereof) for the company in China. Paul, meanwhile, was quick to dampen the cheers from Silicon Valley that Google was doing the right thing, arguing they’re four years too late for this new stance to have any moral weight. Mike followed this up with a comment on the post, “The problem with un-censoring now is that it further reinforces that the decision was the wrong one from the beginning, and that they knew full well it was wrong even when they made it.” All of that rings true. But I disagree. My position is a simple one that is twofold: it’s never too late to do the right thing. And it’s never wrong to do the right thing. The people hooting and hollering immediately following Google’s post on the matter may have been being a bit naive about some of the causes behind this move, but that doesn’t make their immediate reaction that this is great news, any less true. Should Google have made concessions to China four years ago, veering off from their “don’t be evil” philosophy? No. But that’s easy to say when you’re not trying to run a company that grew from a project in a garage to a multi-billion dollar business with users all over the world and public shareholders looking at the bottom line. Many accounts have Google’s initial China decision boiling down to CEO Eric Schmidt convincing co-founder Sergey Brin that it was the right thing to do for the business. Further, there was apparently talk that with a foothold in China, Google would be in a better position to change things from the outside in. That argument, along with point 8 in Google’s “Ten Things Philosophy” (The need for information crosses all borders), may have convinced him to cede points one (Focus on the user and all else will follow. ), four (Democracy on the web works. ), and six (You can make money without doing evil.) Without making the filtering concessions, Google simply would have never have been allowed to operate in China. Obviously, the outside in approach to changing things didn’t work as well as Google may have hoped, but it may not have been a total disaster either. After all, while Google may not have had a strong foothold in the Chinese search market from an overall perspective, indications are that they did have a very solid hold of the better educated, young elite class in China. Those are the same users that are likely to one day be running some of the most powerful technology companies in the country. And they’re apparently not happy about the prospect of losing the ability to use Google. Are they going to overthrown the Communist government? Not likely. But they could add significant pressure in the push to open things up more. The sad fact of the matter is that while Google may have wrongly bent to China, so too have many companies in the past. And those companies are still doing it. And many more will in the future. Google no longer is, and assuming they stick to their word, no longer will. Again, no matter the reason, and no matter the timing, that means something. And it especially means something coming from a company as big and as powerful as Google. Rival Yahoo has already come out in support of Google’s new stance, and that’s despite their substantial ownership in the large Chinese Internet company Alibaba (which criticized Yahoo’s praise of Google). And so has no less than the White House. It’d be nice to see Microsoft come out in support as well (especially since their software is apparently to blame for the hacking), but they’re not doing that. But thanks to Google’s new stance on the matter, they’ll be criticized for it more than they would have been in the past. Google’s position may not hold the moral high ground, but it is shaking things up, and that matters more. Also, I don’t care who you are or what your current market share is, it takes balls to walk away from China’s 1.3 billion potential customers and fast-moving economy. With technology, and the Internet in particular, becoming more integral in all of our daily lives, this entire situation could be just a sliver of what’s to come. One blog post from one Internet company has ignited a debate that’s really one we should have never stopped having. And it’s now being played out in a type of information warfare ranging from China all the way to the White House (think it’s any coincidence that China restored text messaging service in Xinjiang today after some six months of blackouts). Google did the right thing. And as long as they keep doing the right thing, the “why” will continue to matter less. And hopefully it will send the more important message to other companies: it’s never too late to do the right thing.